Hot Wheels: Get Set, Go! Even more motor madness from the world’s hottest custom garage. Get into the driving seat and make these speedsters fly! 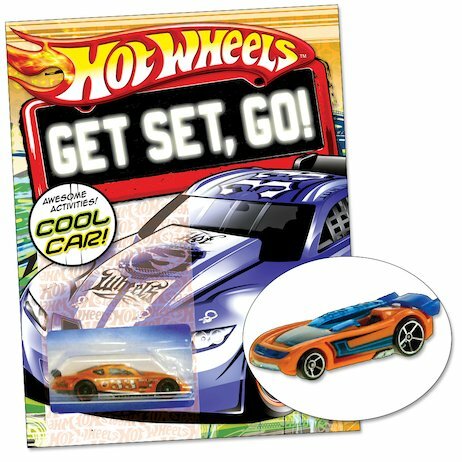 Packed with sizzling activities, plus games and stunts to do with your cars, this is the ultimate book for budding pro racers – and it comes with your own cool car! See which vehicle group your new model car belongs to. Race your friends in the Garden Grand Prix. Make your own stunt ramp, design a Hot Wheels custom vehicle, and find your way through the mega track maze! Includes a model toy car. Colours and styles may vary.